The CEO of Starbucks has advised his employees to be especially nice to customers because of the stress they may be encountering over the plunging stock market. 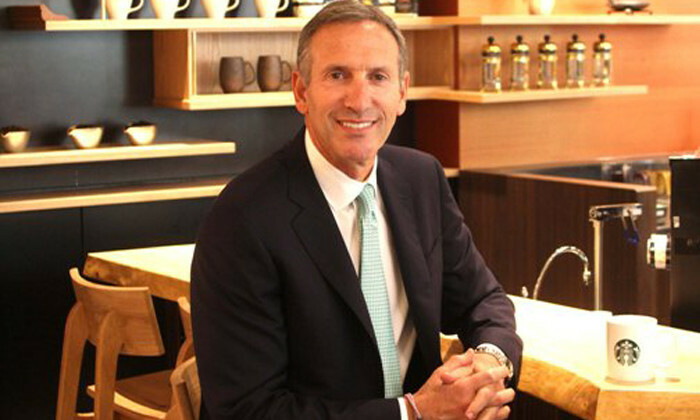 An article published by Fusion reported that in an email sent to staff, Howard Schultz said that the recent instability of the financial market might influence “customers’ attitudes and behaviour”. “Our customers are likely to experience an increased level of anxiety and concern. Please recognise this and – as you always have – remember that our success is not an entitlement, but something we need to earn, every day,” Schultz wrote. Titled “Message from Howard: Leading Through Turbulent Times”, the email was sent out to 190,000 employees, whom Schultz refers to as “partners”. The coffee giant’s billionaire chairman and chief executive assured his staff that the company will handle the current challenging environment, and applauded them for their potential. Schultz has, in fact, made a reputation for himself as an efficient and popular CEO, continously launching initiatives to improve morale of his staff. Last year, Starbucks announced its partnership with Arizona State University (ASU), and revealed its plans to provide tuition reimbursement and financial aid to US employees who enroll in the school’s online bachelor’s degree programme. Through this collaboration, Starbucks employees working an average of 20 hours per week at any company-operated store in the United States may choose from more than 40 undergraduate degree programmes taught by ASU’s faculty. “Our company has weathered many different types of storms. But our brand has never been stronger or more relevant,” Schultz added in the stock market crash email. Are wellness programmes an effective solution to workplace stress? “The past year has witnessed a 7% drop in the belief that HR has an important role to play. This can infuriate HR professionals." ..